At Signature HealthCARE, we believe technology empowers our residents, families, and stakeholders. The task of providing quality healthcare services to patients across the nation, making sure care is consistently available can be a challenge when they’re not able to make it to a doctor’s office. With telemedicine, we’re overcoming geographic challenges and delivering on our commitment to quality health care. 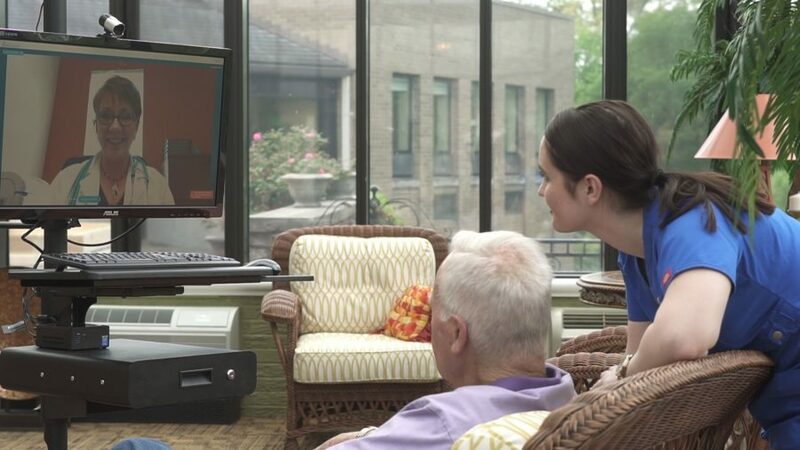 Thanks to telemedicine, Signature HealthCARE is able to easily and affordably connect with patients. Care and instruction can be administered through video screens and other resources. YourDoc2U is Signature HealthCARE’s partner or preferred provider in providing telemedicine to 46 locations, and through this software, we seek always to provide only the best in care for our patients.